Iomega has come up with a complete HDTV screenplay solution that gives us a nice 1TB of space to store all your favorite movies, videos, pictures and multimedia. 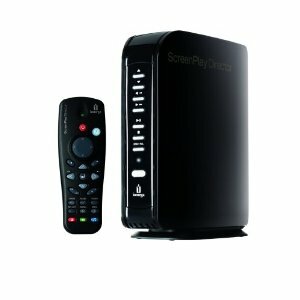 The HD media player also comes with network access which enables it to share and easily access multimedia content on your pc or view on your home theatre or access online content and makes it easier with the remote. Compatible to run with the latest media formats such as H.264, WMV, MKV, MP3, AC3 (Dolby Digital Encoding), WAV, WMA, MPEG-1, MPEG-2 (AVI/VOB), MPEG-4 (AVI/DiVX /XViD) and JPEG. It also supports the Iomega USB WIFI Adapter for wireless access (adapter sold separately). Priced at about $250 and Amazon is accepting pre-orders. Thanks Luigi, we are still working to make this better for you. We do have an rss feed up.